In December of 2012, Spiritual Dynamics held our first Deep Soul Access course in conjunction with preparation for the 2012 Gateway on Winter Solstice. This was a deeply spiritual time when many across the planet were in meditation for the transformative energy of the planet. I seemed to live mostly from the fourth level of consciousness during those three weeks, barely aware of daily living happening at our third level of consciousness. It was a magical time as the Earth stepped into that Gateway. As a result of this experience, Winter Solstice has become my favorite day of the year. 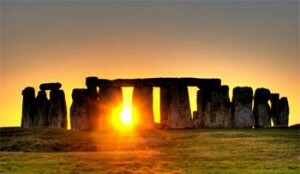 For those of us in the Northern Hemisphere, Winter Solstice is December 21st. It is the day when Yin energy is at its peak and calls us to move into inner reflection. Yin and Yang energy are the two basic energies. They are polar opposites and come together to create everything in our universe. They are constantly transitioning. When one is strongest, the other is weakest. This only happens two times a year. As one energy reaches its peak and tips over, the other energy then begins to grow and strengthen. The switching point is a very powerful time. As Yin energy reaches its strongest point on Winter Solstice we are drawn by the energy to experience our inner wisdom, to delve into the deep mysteries of the inner planes. Take time on this December 21st to walk through the beauty of your life during the past year. Look at what you have accomplished and see how you have progressed in your journey. In qigong I have learned there is no “wrong” way to practice; there is only good, better, and best. I have learned to apply that concept throughout my life. When you review this past year, I hope you will utilize this concept of good, better and best as you assess your progress. There is no failure and no wrong. If you even gave thought to change in a positive direction, this is good. For the last four years in my work with the Masters, I have been told of the importance of juicing and the importance of using the essential oils from Young Living. This is why I began to teach and write articles about these topics. As we move into higher frequencies, it is important that we lighten the physical body. One of the things happening now on the planet is we are receiving more light. In order to hold this light and this energy, we can assist the body by eating lighter foods and what I call cleaner foods. These are foods that do not clog the body. They are easy to digest; they are high in water content and, therefore, are cleansing by nature. These are fruits and vegetables in there natural uncooked state. Fresh juice, unpasteurized, is one of the easiest and best ways to consume these foods. They are nutrient dense and the body absorbs these quickly and easily. So, when the Masters began to give me this information, I had to start working on this. I had to get serious about what they were telling me. I had been juicing for years, but it was “occasional” juicing… when it was convenient. Now that the Masters were giving me this information with repeated frequency, I decided to start doing some juice fasting and to start juicing on a regular basis. This is how I discovered Jason Vale and his quarterly juice fasts. I am amazed as I review my year, that I participated and completed every one of his juice fasts this year. Additionally, I have, for the past several months, been very successful at daily juicing 32 ounces of vegetable juice. Even when time is short and I need to be running out the door in the morning, I manage to juice at least a quart (i.e. 32 ounces or 1 liter) of mixed citrus juices to take on the go. Why am I telling you about my success? Because if I can do this, anyone can do this. It is a fabulous thing to do for your body and your health. But even more important is the fact that, yes, it does make a difference in your spiritual growth. It is the same with the essential oils. Will you see a difference if you juice just once or use an oil once? Probably not, although some people have had life changing experiences with one application of a Young Living essential oil, so I’m not saying it can’t happen. But usually it is something you become aware of over a period of time. Clarity begins to happen. Your emotions begin to balance out. Your focus changes. What seemed important becomes not so important after all and you find yourself seeking quiet time, seeking contemplation. You find yourself wanting less clutter in your life and less noise in your mind. As the feminine Yin energy reaches its peak on December 21st and then begins to lessen, the Yang energy starts to grow. In beautiful synchronicity, another key event occurs on December 20th this year. The 260-day Tzolkin calendar, one of the Mayan calendars, restarts on December 20th. This is the energy of rebirth and a new cycle of galactic energy. Each 260-day cycle is a sacred cycle of creation and is a spiral voyage in time that reflects the human gestational period. This galactic calendar spins in ongoing 260-day spiraling cycles perpetually. The Solstice will magnify these beginning, birthing energies, thus making this the perfect time to reflect on our past successes and the perfect time to reflect on new beginnings. It is the time to dream our visions and choose our desires for manifestation during this next ascending evolutionary spiral of galactic spin. First, reflect on what you have accomplished. Then, reflect on the potential within you to create. Visualize these energies you want to bring into manifested form. Then you will be ready to move into action, as the Yang energy begins to grow and the new spiral of galactic energies begin once again. This entry was posted in Dreama Vance, Metaphysics, Sacred Healing Oils, Spiritual growth, Vital Wellness on December 19, 2015 by Dreama Vance. A ritual, as opposed to a habit or routine, is something done with intention and for me it holds a sense of reverence. Therein lies the power of ritual. This is one of my favorite ways to use Young Living essential oils. They are such beautiful gifts from the essence of Creation itself. To be conscious of this every time you open one of these tiny bottles of pure essential oils brings you into the present moment. If you are conscious of what you are holding in your hand, it will center you and bring you fully present into the here and now. By holding an intention, the oils will magnify this vibrationally. This is why you want to be conscious and aware of what you are thinking and your emotional intent when you use these oils. I use Young Living essential oils throughout my day. I always start and end my day with them. They are such a pleasure to use and bring me such joy. If you don’t yet have a set of these spiritually empowering oils, you can use the link at the bottom of this article to order yours. It took me a couple of years of using a select group of these oils everyday before I began to understand how these oils work from a spiritual point of view. They carry the blueprint of the Infinite within them. They carry the energy of the Sun, the Earth, and the stars within them. It is this Universal energy that calls to me. And it is this energy that attracts this same energy to me. In other words, these oils draw to me what will support me in my spiritual growth. This is what I have found. Do you see this? Can you understand how much bigger these oils are than just their chemical composition? I have only found this with Young Living oils and it is entirely due to the Seed to Seal process that is Young Living’s guarantee. It is this promise of caring, of stewardship, of purity, and the knowledge and wisdom of decades of research that allow these oils to come to us with this energy intact. On our spiritual journey, there are many things that come our way that seem ridiculous to our unawakened mind. It is a step of faith to move forward in spite of the mind’s arguments. Yet, we all have this calling within us to move forward on our path. It is only as we do so that we are able to see from a different perspective. What seemed ridiculous now becomes a path to greater truth. Night time, when we sleep, is an opportunity to accomplish so much! Healing happens when we sleep. Our day gets processed through our dreams. We may be doing much work from a spiritual point of view when we are sleeping. Before we go to sleep is a great time to set your intention for those next few hours. Do you have a beautiful ritual before bed? There are two Young Living essential oils I like to use just before bed: Sacred Frankincense and Peace and Calming. Just the name, Sacred Frankincense, says it all. Frankincense is a life-enhancing oil. Sacred life. What better place to go during sleep than to that sacred place within your own being? Set your intention to be in that beautiful place and apply the oil where ever you choose… the crown of the head, over the heart center…let your intuition guide you. Peace and Calming is one of those gorgeous oils. The fragrance is rich and romantic. It reminds me of hearts and flowers and it has a beautiful blue color. Each night as you prepare for bed, put a drop of Peace and Calming on the sole of each foot. Then, put a couple of drops in your hand and circle three times clockwise, to activate and harmonize the oil with your intention, then smooth the oil over your neck and top of your shoulders. Breathe from your hands once you are in bed. Just breathe naturally nine times. Feel how your breathing deepens as you go along. Feel how the tension begins to ease. Feel how the mind starts to quiet. Place yourself in the presence of the Infinite. In the still of the night, Peace and Calming, Sacred Frankincense… a blissful night. This entry was posted in Dreama Vance, Sacred Healing Oils, Spiritual growth, Vital Wellness on December 9, 2015 by Dreama Vance. One of the arts we are taught from spiritual wisdom teachings is the practice of cleansing and fasting. We have just finished the Juice Challenge with Jason Vale and I hope you joined in with us! A juice fast is a great way to reset your thought processes, repattern your behaviors, and restart your good intentions. Any cleanse awakens newness within you. Insights begin to come to you. Awareness is revealed about food and your choices. Realizations that were hidden are suddenly right there in your mind if you pay attention and take a few minutes to reflect and allow Spirit to reveal itself. Is it any wonder we are told to cleanse and fast? I am amazed that this is not more specifically addressed by today’s spiritual teachers. I love NEW. I love the feel of fresh, clean sheets on the bed. I love the energy of a just-cleaned house. I love the beginning of a month and use that as a time to start new projects. I am a seeker; I love learning new things. I love beginnings. If you can relate to any of these ideas, then you can understand the value of a cleanse. It is about renewal. There are many ways to cleanse the body. Juice fasting is just one of them and is a fairly general, overall aid in assisting the body. There are, however, many other resources available and specific cleanses for the different body systems. Cleansing is probably the most important thing you can do for your health. The Young Living Essential Oils company has wonderful products that support cleansing the body and I would like to talk about how to start with one of their products that is a specific cleansing protocol called Cleansing Trio. It is incredibly easy to do. If you are like my husband who swears he will never do a juice fast, then this is for you! If my husband can do it, anyone can. It is that simple and easy. First, did you know there is an order to follow in cleansing the body systems? Many people have heard of a liver cleanse or a gallbladder cleanse. However, you don’t want to do any of those until you have first done a colon cleanse. The colon is the main avenue of exit for removal of toxins from the body. You don’t want to be cleansing the liver of toxins and have a colon that is not functioning up to par! In Chinese Medicine, we clean the colon in the Fall, which allows us to prepare for the spring time cleaning of the liver, when we naturally gravitate to those wonderful bitter greens such as dandelion. Your body has a rhythm that follows Nature. Chinese Medicine and the Five Element Theory is the a study of this connection. It has been studied and practiced for thousands of years, with a focus on longevity and good health. You can start your colon cleanse with Young Living’s Cleansing Trio. The Cleansing Trio is a kit that contains three products: Comfortone, ICP, and Essentialzyme, all packaged together and priced lower than the sum of each product sold individually. The primary reason this cleanse is so easy to do is that it is self-monitoring. Another reason it is so easy is because you don’t have to change your diet! I did this cleanse last year over the holidays and during a house move! White flour products and most dairy products are the culprits in creating the paste that lines the colon and starts creating problems. The more you eliminate these and the more you increase “real food” – actual fruits and vegetables – the better and happier your digestive system will be. If you have never done a cleanse, now is the time to start! The secret to keeping this cleanse comfortable is drinking at least two quarts (two liters) of water a day, preferably three quarts. This is key. It may sound like a lot, but it is quite manageable. Using Young Living products is one of the ways I take care of my family. This company is about empowering you to take control of your health. Taking action is the first step. The deeper you cleanse and the cleaner your food, the more you open the channels of communication to the inner you, allowing greater intuition, insight, and clarity to express into your conscious awareness. Your body is beautiful and amazing. Love and care for it. It is the only one you get in this circle of life. If you are not a Young Living member, JOIN! I always recommend the Premium Starter Kit with Home Diffuser. It includes the Premium Essential Oils Collection. This is a US$300 value that you can get for $160 and it is a great way to get started. It includes a diffuser and eleven different essential oils that you can use for so many normal everyday needs. You can add the Cleansing Trio (item no. 3115) to your order. This entry was posted in Dreama Vance, Sacred Healing Oils, Vital Wellness on October 10, 2015 by Dreama Vance. If you have some Young Living oils, take out a bottle, open it up and inhale. I love Stress Away for this, or Lavender, or Frankincense, or Sacred Mountain, or Believe, or… you get my point. Just breathing consciously is good, but we have to work at it a little to let go of that charged up energy of hurry, hurry, hurry, too-much-to-do! Breathing in one of Young Living’s essential oils is better. Why? Because it makes centering so much easier. Centering happens almost automatically when you inhale one of these oils. Breathing in one of these oils six to eight times, you will find… Yourself. Yes, you didn’t even know you were lost, but you were scattered all over the place and this is where most of us live most of the time. Our energy is quite literally splattered. So when this happens, when your energy is all over the place, where are you? Take a moment to find yourself and to be present. Now that you are here in the present moment, open your heart. Open your heart so that you are receptive to a new way of seeing, of understanding at a different level. Open your heart, knowing that there is so much more to life than our everyday perception of it. Allow wisdom to begin to percolate as you continue reading, knowing that information comes to you on many levels, not just at an intellectual level. We live within the consciousness of the planet. Yes, that’s right. We live within the consciousness of the planet. Hold that thought in your awareness as I briefly run through the way most people think about the evolution of consciousness. Overall, humanity as a whole has functioned at the solar plexus level of consciousness for many eons of time, believing in separation and the duality of existence. We are beginning to shift in our awareness to lower heart-centered consciousness. This is where we become aware of something bigger than ourselves… where something more important than “me and mine” enters our awareness. The environmental movement is a good example of this. As we move to upper heart-centered consciousness, we get the first glimpse of the spiritual levels of existence as the upper heart center bridges the lower physical chakras with the higher spiritual ones. Around in this area, we begin to perceive unity consciousness. We know it intellectually and think we understand it, but that is really solar plexus thinking! It is the experience at these higher levels of consciousness that begins to awaken our understanding of this concept. Hmm… I think they left out the middle bit. Very few teachers, if any, talk about this concept of planetary consciousness dwelling within us, or us living within the consciousness of the Earth. We certainly know the Earth is a conscious being. However, even in this understanding, we tend to view the Earth from an egocentric position. What this means is we still perceive ourselves as most important and the Earth as just… well, someone or something else. We see her as important, yes, of course… we recognize all of the environmental issues. We may even have experience with the Essene teachings where we recognize her as the Earthly Mother. We may even acknowledge with gratitude her role as our home, just as we acknowledge the Sun and its role in supporting life on our planet. Yet, we still see both the Earth and the Sun as objects. In all of this, we have failed, quite miserably, to comprehend the truly enormous spiritual power of the Earth. The Earth is a conscious being. We have not understood the sacredness, the holy energy that is the breath and heart of this planet. Her light and power would literally blind us, should she reveal it to us. We live in the consciousness of the planet. So, here is a part of the Bigger Picture. In our movement into separation, we have gone farther and farther away from the teachings of Wholeness. We have moved away from the foundations of life provided by the planet. Those foundations are based on plants. Plants are the foundation of our food supply. The rainforests are foundational in climate control and helping oxygenate the air we breathe. Plants as food and medicine are inextricably woven together. If you think of the Earth as a Mother, then plants are mother’s milk to her children. They are our food; they nourish us; they protect us; they heal us. We are in the middle of The Shift. The Earth is calling us back to her teachings. As she continues to release more spiritual energy, we are vibrationally pulled to her larger consciousness. This is why changes in diet are so prevalent at this time. This is why veganism, whole food and raw food diets are popping up all over the world. This is why people are seeking alternative healing methods. This is why Young Living essential oils are global… Plants! They have been and are the foundation to Wholeness. Now you have a glimpse of the bigger picture. However, as you expand in consciousness, the picture continues to get bigger! Next time, we will look at another facet of the bigger picture…it is all about energy. This entry was posted in Dreama Vance, Sacred Healing Oils, Vital Wellness on July 31, 2015 by Dreama Vance. If you have a soul-felt desire to change the world for the better and haven’t yet found a way to manifest that deep-seated passion, this message is for you! It is a storm of change that will sweep across the landscape of our lives, affecting everything in its path. This perfect storm will be the result of the clashing of two separate forces, forming a vortex of energy that will lift up those who rise to the occasion and establish them as pioneers of the Great Change into the New Reality. The first force is automation. The job market is awash with change these days as the information revolution continues to sweep away old jobs and careers in an avalanche of automation. This trend is about to accelerate with an explosion in robotics technology. These days, you’re either promoting the flow of information or worried about whether your job – or the jobs of your children and grandchildren – will even exist tomorrow! The Karmic bell has tolled. This entire section of the galaxy is rising in frequency. As the time of the Cosmic Shift approaches, we are being prepared for the day when all matter on this planet will vibrate up into a higher plane of existence. Ready or not, all people will be risen up into the more subtle environment of a fourth-density existence. Evidence of the emerging higher consciousness and greater sensitivity is all around us. People’s diets are becoming lighter and more refined. Heart-centered consciousness is popping up everywhere like flowers in the spring. In the field of wellness, the old reality of prescription drugs is beginning to look very tired, as is radiation “therapy” and other nightmares of the old reality. People want to put the power of nature to work in bringing wellness and healing into their lives. They just don’t know how. Health care isn’t just in a crisis because it has become hopelessly expensive. It’s in a crisis because it should really be called “sick care” – the perpetuation of illness so that patients become perpetual customers of the “health care” machine. Yes, people want their symptoms of illness to be go away, but they also want recovery from the illnesses that are causing those symptoms. They want to enjoy life, not live from doctor’s visit to doctor’s visit to another battery of endless tests. People want their health back! The future of medicine will focus on curing illness and disease by the application of concentrated forms of natural healing essences. Mother Nature has supplied substances in herbs and other plants which bring wellness and harmony to the human body. For thousands of years, herbs have been used to maintain health and well-being in all parts of the world. Let’s make one thing clear about how much intelligence went into what we call the works of Mother Nature. The subconscious mind of an ant knows more about biochemistry than does a PhD in Biochemistry! If you want real progress in wellness, look to Mother Nature for support and you’ll be way ahead of the game. Today, researchers are discovering the specific powers of the essential oils that can be extracted from herbs and other healing plants. Did you know that, in the country of Oman, there are no cancer wards in the hospitals? That’s because the people there routinely chew the resin of the Frankincense trees that grow there. Researchers are discovering why Frankincense is called the King of the Oils – it will actually correct damaged DNA inside living cells! The more you experience pure, therapeutic-grade essential oils, the more you awaken to their hidden secret. They do more than bring wellness and balance to the physical body. They equally affect the mind, emotional body, and spirit. Young Living therapeutic-grade essential oils are raising the consciousness of the planet! Tomorrow’s world will be a world of harmony, healing and upliftment. Essential oils will be an integral part of that beautiful new reality. Wouldn’t you like to be one of the people who usher in the new world by bringing that reality into manifestation? Earlier, I mentioned a perfect storm of change caused by the converging factors of higher consciousness in an emerging Information Age. When you understand those factors, you can ride that wave of change into a lifestyle of joy and blissful awareness, knowing that you are changing the world for the better by passing along the vital information that people need in this day and age. The Information Revolution may be automating old reality jobs, but the one type of job that will always exist is the passing along of information that helps people. Robert Kiyosaki, self-help author of “Rich Dad, Poor Dad”, calls it “The Business of the 21st Century.” In fact, he wrote a whole book about the profession of network or word-of-mouth marketing under that very title. He also calls it the business of helping people for people who like helping people and it fits perfectly into the emerging service-oriented, information-rich economy. We have chosen to spread the vital news about nature’s healing power in the form of essential oils because we see how they will shape the emerging New Reality. We understand their power to bring well-being to mind, body and spirit. That’s why we recognize them as sacred healing oils. You can educate yourself into the power of therapeutic-grade essential oils just by using them yourself so that you experience their unique healing power. You can become an active agent for change in many ways. By doing so, you will be living in the style of the New Reality now. When you choose to help others by recommending essential oils where appropriate, you can easily make such activity a part-time or full-time profession – one that will support you while you support others. If you are already a spiritual practitioner – a teacher, healer, massage therapist, hypnotherapist, or any other professional who works from the heart – you can add the activity of recommending essential oils to your business. This will build passive or residual income which will continue independently of whatever hours you choose to work in your practice. To find out what steps you need to take to pursue this course of action and help build the New Reality, click the Continue button to enroll as a Young Living Essential Oils Member. We will follow up with all the necessary educational material to ensure your success in building your own referrals business. This entry was posted in Owen K Waters, Sacred Healing Oils, Spiritual growth on March 12, 2014 by Owen K Waters.